Just awful. 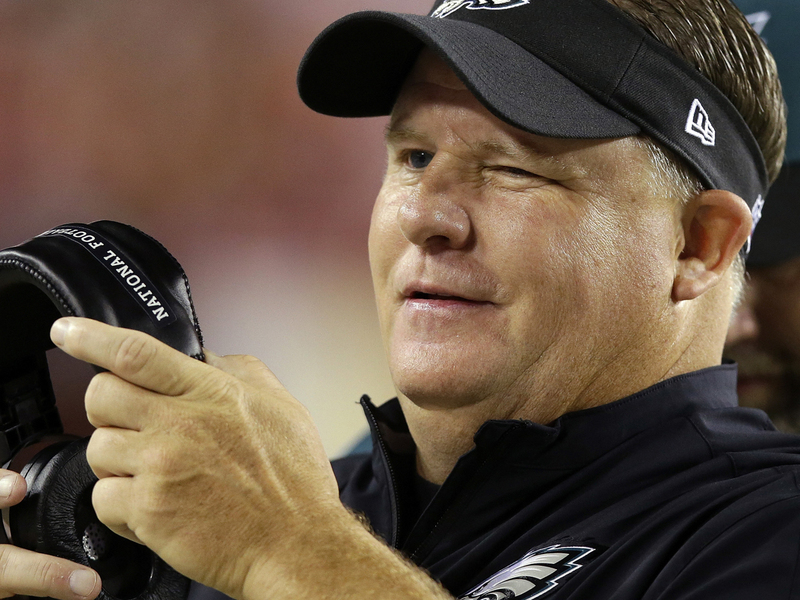 I think I’d be happier if it had been confirmed that Chip Kelly was a racist instead of the move he just made. Chip Kelly has gone insane. INSANE. Really not a lot to say anymore. This move was the move of a syphilitic brained man who has too much power and nobody to keep him in check. Chip Kelly is now the the John E. DuPont of the NFL. He has slowly descended into madness, until one day for no reason he decides to take a ride in his car and pull up to both Lesean McCoy and Nick Foles to shoot them both in the stomach. Sam Bradford and a 2nd round pick for Nick Foles. Bradford hasn’t played in a game since 2013. His best season saw him throw 21 touchdown passes (when he had two healthy knees). He’s not mobile and won’t be gaining any mobility coming off a second knee surgery. Nick Foles never played a game last season where he started behind an intact offensive line, yet still went 6-2.